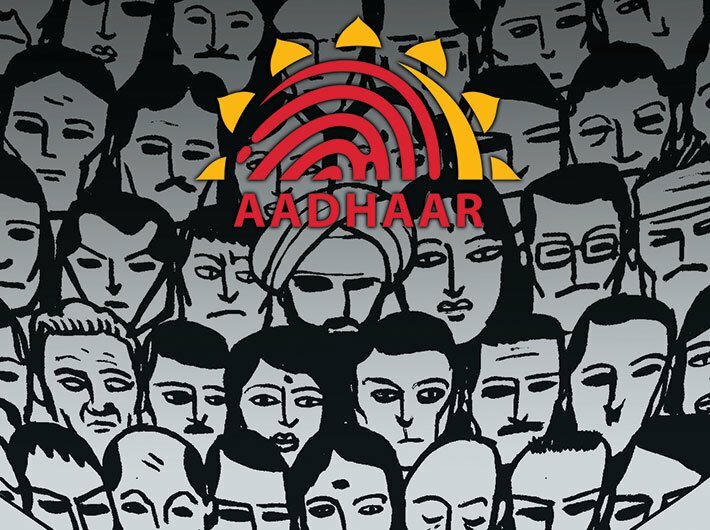 Aadhaar has faced a volley of criticism for limiting a citizen’s right to privacy. But Aadhaar is not alone in intruding into your life. You can stake a claim to genuine privacy and escape state surveillance only if you opt out of all kinds of identification systems – birth certificate, driving licence, passport, election card and PAN card. And stop using your cell phone. And of course, the internet. Scholars and thinkers like Michel Foucault (his book Discipline and Punish is a seminal work on this subject) have illustrated how great empires that relied on spectacular shows of violence for disciplining their subjects turned into the modern humane states that depended on schools, prisons, asylums and hospitals and their subtle works of power to do the same thing. There was less or no violence involved in a process and the cost involved was much less. What does a school, a prison, an asylum or a hospital do? Watch you, record you and use this knowledge to modify your behaviour. The underlying idea behind this was surveillance. Surveillance provided knowledge, and knowledge is power. More modernity brought with it states that wanted to make their citizens productive as a whole. How does the state modify and manipulate an entire population to work in a way that is productive to society? This kind of an operation needs immense knowledge of the people and the territory in order to work on them and to mould them to work in a certain way. The provider of this knowledge is surveillance, according to scholar Richard Ericson, which is simply the collection of all information about people that is useful for the administration. Thus, surveillance of people dates back to the time when the first land deed was registered in India: that citizen was forever trapped in the administration records along with whatever information about him that the state had. The story has been continuing ever since. Banks ask you to quote your pan number on transactions above Rs 50,000. That’s just the state keeping a tab on how many people spend above Rs 50,000 in a certain bank on a certain day. This is surveillance too. Therefore, if you are protesting the enhanced scale of surveillance post Aadhaar, there is still an argument. Sure, with Aadhaar the state would learn large amounts of information about people. Since every government service and benefit will be connected with Aadhaar, the state will have access to more information. The vantage point should be the scale and scope of this operation, not surveillance per se, because no modern state has been able to work without it. This brings me to my second argument: the state is not interested in individuals. It is interested in data. And ‘data’ is plural. Which indicates that the state is interested in analysing the data generated by a large number of people, that is, statistics. Most people would think surveillance means being watched individually. However, do you think it is possible (and needed, and cost effective) for the state to be interested in each of the 1.2 billion people? The Big Brother imagination might be fancy, but it is a little far-fetched. What the state intends with a mega surveillance system like Aadhaar is not to watch you or anyone else. It plans to analyse statistical patterns of information on every aspect of life in order to plan its resources to make the country as a whole more ‘productive’. However, data are objective. Possible misuses of Aadhaar data analysis could be that state resources would only be allocated to areas that provide concrete, data-driven proof of being productive. Data never lies but it also does not provide a deeper analysis of failure. It gives you an answer to the “what” but it never answers the “why”. So, if the government argues to reduce, let’s say, Maharashtra’s education budget based on data that its education is not really its strongest points, and divert the money to another profitable sector, could anyone blame it? The problems with Aadhaar are the obvious ones – data accountability, lack of privacy legislation and possible misuse of citizen data. However, these problems are common to all kinds of identification systems. Take for example the seemingly harmless electoral rolls, which were used to identify Sikhs in Delhi during the 1984 riots. Unprotected data – any data – is an invitation to trouble. Bigger the database, bigger the problem. However, Aadhaar is not aimed to create some gargantuan individual, round-the-clock surveillance as portrayed in sections of media. The government can simply tap your mobile phone and get all the information it may need about you. By investing '3,500 crore (and more) it should be clear that it wants more. Narayan, a research scholar with CSSS, JNU, is working on ‘Digital Identification, Surveillance and Governance in India’.